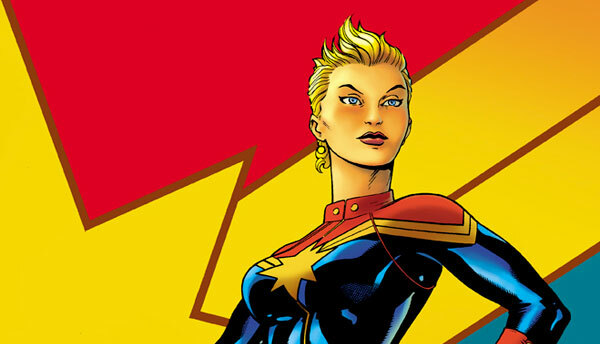 The hits just keep on coming here on Talking Comics’ Women in Comics week, and today we are joined by the writer of the new ongoing Captain Marvel series, Kelly Sue DeConnick. If you guys are unfamiliar with Kelly Sue or the character of Carol Danvers, this is an interview you do not want to miss. Kelly Sue is engaging, honest and insightful as she takes us from her early days growing up on an army base, to her first days at Marvel and then to the pitch for what this new Captain Marvel is all about. So sit back, relax and lets talk some comics! Quite the fun and entertaining interview. She seems like a delightful person. +1 convert to give her new work a shot!